Events just fly by in the ever-accelerating rush of Trump Time, so it’s easy enough to miss important ones in the chaos. Paul Manafort is sentenced twice and indicted a third time! Whoosh! Gone! In fact, said Pompeo, some visas may already have been denied or revoked, but he refused to “provide details as to who has been affected and who will be affected” (supposedly to protect the confidentiality of visa applicants). Well, what if someone does see it? And what if you admit to it -- and to a criminal investigator, no less? And what if you add that you also used electrical torture, too? Is that, in fact, a war crime? One of the admitted torturers I spoke with was still unrepentant. He explained to me that, were he placed in the same situation again, he would do exactly the same things. And why wouldn’t he? You don’t find Americans in the dock at the International Criminal Court (ICC). But if the Trump administration has its way, as TomDispatch regular Rebecca Gordon reports so strikingly today, the ICC’s judges and prosecutors might be the ones who find themselves charged and -- though it's a stretch of the imagination -- behind bars. 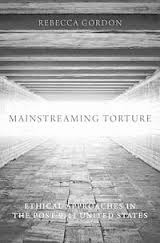 And given what we know about the U.S. prison system, that might also mean finding themselves at risk of torture. 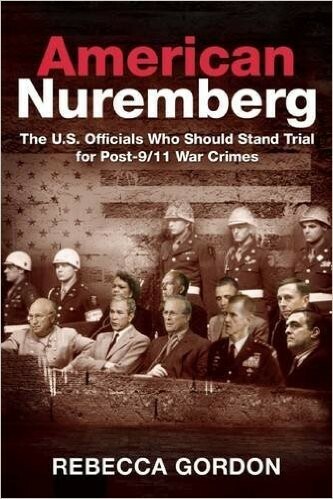 The ICC’s origins go back to the Nuremberg trials at the end of World War II. In 1943, the leaders of the Allied powers -- England, France, the United States, and the Soviet Union -- met in Tehran, Iran. One subject on the table: how, once the war was won, the Allies would deal with Nazi war criminals. Soviet dictator Joseph Stalin is said to have proposed simply lining up and executing 50,000 Nazis. American President Franklin Delano Roosevelt reportedly tried to break the resulting tension by jokingly suggesting that 49,000 might be sufficient. The solution was to demonstrate that their prosecutions had a basis in the Geneva Conventions and other international treaties -- in, that is, the already existing laws of war. In the process of designing those prosecutions, they consolidated and advanced the meaning and power of international law itself, a concept particularly needed in a postwar world of atomic weapons and a looming U.S.-Soviet conflict. Three-quarters of a century and many wars and weapon systems later, enforceable international law still remains humanity’s best hope for adjudicating past war crimes and preventing future ones -- but only if great nations like the United States do not declare themselves exceptions to the rule of law. Nor has any court ever prosecuted those responsible for the U.S. firebombing of 67 Japanese cities. Those lesser-known attacks killed hundreds of thousands of civilians and reduced many of that country’s largely wooden urban areas to ashes. Robert McNamara, secretary of defense under Presidents John F. Kennedy and Lyndon Johnson (and an architect of American policy in Vietnam), described those attacks in Errol Morris’s brilliant documentary The Fog of War. The following year, however, Clinton actually signed the Rome Statute, the treaty creating the ICC. In fact, the United States had been instrumental in drafting the court’s procedures, rules of evidence, and definitions of various crimes. In spite of that Foreign Relations Authorization Act, it looked as if the U.S. was on the way to future full participation in the ICC. The year 2000, however, saw the election of George W. Bush. It was John Bolton, then Bush’s undersecretary of state for arms control and international security, who sent the notification letter to U.N. Secretary General Kofi Annan and personally trekked to U.N. headquarters in New York City to “unsign” the Rome Statute. In its menacing rejection of the court, the Trump administration is turning its back on the system of international law and justice the United States helped establish at Nuremberg. The rule of law must not hold only, as hotelier Leona Helmsley once said about taxes, for “the little people.” If Donald Trump had truly wanted to “make America great again,” he would have recognized that international law is not just for the little countries. The greater a world power, the more consequential is its submission to the rule of law. The attacks of John Bolton and Mike Pompeo on the ICC, however, simply represent a new spate of lawless actions from a lawless administration in an increasingly lawless era in Washington.